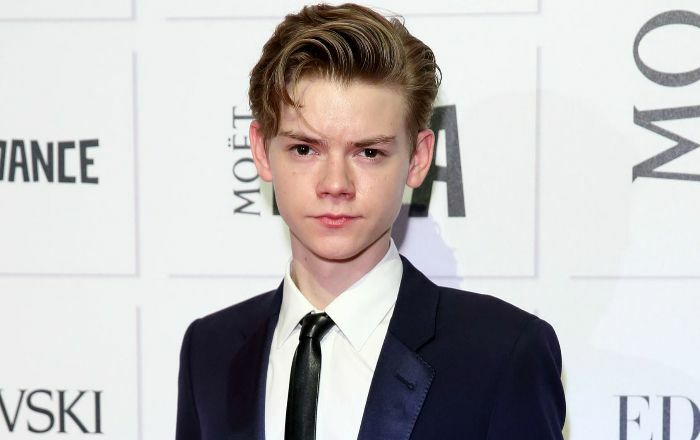 Thomas Brodie-Sangster is an English actor and musician who caught the attention of the international audience for playing Jojen Reed on HBO’s hit fantasy series ‘Game of Thrones’. He starred as Newt in the ‘Maze Runner’ film series, John Tracy in the ITV series ‘Thunderbirds Are Go’ and provided the voice for the character Ferb in ‘Phineas and Ferb’. His other notable film appearances include Death of a Superhero, Bright Star and Nowhere Boy. Thomas Brodie-Sangster was born on May 16, 1990, in Southwark, London, England, UK. His ancestry is Scottish, Cornish and Welsh. Sangster was in a relationship with actress, Isabella Melling from 2012 until 2016. Thomas Brodie-Sangster’s first acting role was a supporting role in Richard Cutis’s romantic comedy film, Love Actually. He played Sam in the film, which was released in 2003. This roles earned him several nominations including Young Artist Award and Satellite Awards. Coming to television circuit, Sangster was first seen in a BBC television film, Station Jim. He made a lot of appearances in a leading role in television films like Bobbie’s Girl, The Miracle of the Cards and Stig of the Dump. In 2002, Thomas played Stephen in a British television drama series London’s Burning in an episode entitled 14.6. Sangster earned a lot of fame and accolades for his portrayal of Newt in the science fiction action film series The Maze Runner and as Jojen Reed in the HBO’s fantasy drama series Game of Thrones from 2013 to 2014. He landed a significant role in the 2003 romantic comedy film, Love Actually. His work in the film is considered as one of his best performances in his career. He was nominated for a ‘Golden Satellite Award’ and a ‘Young Artist Award’ for his role in the film. Sangster has an estimated net worth of $2 million dollars. His acting career started in 2001 when he was cast in the TV movie Station Jim. The actor Hugh Grant is his second cousin. His maternal great-grandmother, Barbara May Randolph, and Hugh’s maternal grandmother, Margaret Isabel Randolph, were sisters. He knows to play bass, guitar and drums. He learned to play left-handed guitar for his role in Nowhere Boy (2009). He also learned how to play the drums from his father for Love Actually (2003). In 2006, he founded a film production company, Brodie Films, to help new British talents. However, the company stopped its operations in May 2013. In 2010, he joined the band Winnet, where he plays the bass. His mother sings the vocals there. From 2010 to 2011, he voiced Ferb in the TV series Take Two with Phineas and Ferb. He is good friends with The Maze Runner co-stars Will Poulter, Dylan O’Brien and Kaya Scodelario. Sangster was once denied pint in a bar as he looked underage. In fact, he was 24 at that time. He didn’t carry an ID proof, so he showed them his IMDB profile to convince them. Even though, they recognized him, they still didn’t serve him alcohol, but took his autograph. He’s crazy about motorbikes and leather jackets.